Shopping for groceries in Nayarit is easy at Mega Grocery Store. Located between Mezcales and Bucerias the MEGA Grocery Store offers everything you can imagine, from the fresh fish section to the meat counter, bakery, groceries, clothes, electronics, etc. Try the local brands rather than the imports, you might be surprised by the quality and you will save because of their aggressive pricing! TIP: The people that bag your groceries make their money only from tips so tipping a few pesos would be appreciated. For a $500 pesos bill, $5 pesos is fine. Wal-Mart Plaza is located on Highway 200 just in front of the Flamingos area and near Nuevo Vallarta. This Wal-Mart has a great variety of groceries and other merchandise and, just like at home, the value is great! Rumors are that a multi-screen cinema, plus restaurants and additional retail will be coming to this site soon. To fulfill all your sundry needs, visit Sunset Supermarket at Paradise Plaza. Buying groceries in Nayarit at Sunset Supermarket you’ll find an extensive selection of items including Deli, Pharmacy, Spirits & Wine, Water & Ice, Imported & National Goods, Fruit & Vegetables, Bakery Goods and more! See our Nayarit Local Services page for additional local information. For more information see this page entitled, Groceries Around Nuevo Vallarta. 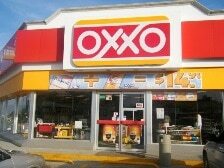 Oxxo is the Mexican version of the 7-11 convenience store back home. It’s a great place to pick up some Cervezas, milk, or even an iced Cappuccino. Bucerias has two locations, one on either end of town while Nuevo Vallarta has one Oxxo location. Buying groceries in Nayarit wouldn’t be complete without experiencing the taste of an authentic Mexican market. The people are friendly and shopping for food couldn’t be more fun! 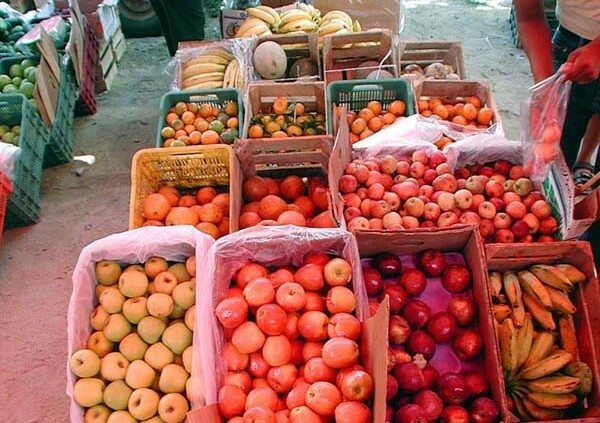 The Sunday market in Bucerias is the place to be for fresh fruit, fresh shrimp, small household items and so many other things. Shop where the nationals shop and save! Bucerias Sunday market is located up the “River,” which is the sandy road that crosses the middle of town. During the rainy season, it really is a river! Please call us at 1-800-960-5917 or email info@rivieranayarit.com if you still have questions about shopping for groceries in Nayarit. We look forward to having you visit us!